iRealHousewives | The 411 On American + International Real Housewives: Vicki Gunvalson Shuts Down Rumors That She’s Been Demoted On RHOC; Says She’s Still ‘In Negotiations’ For Season 14! 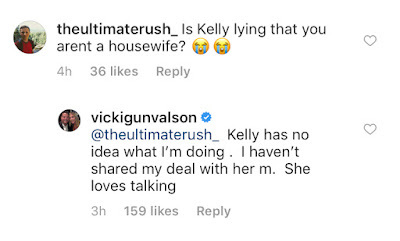 Vicki Gunvalson Shuts Down Rumors That She’s Been Demoted On RHOC; Says She’s Still ‘In Negotiations’ For Season 14! Vicki Gunvalson is shutting down recent reports that she's been allegedly demoted to as a "friend" on The Real Housewives of Orange County's upcoming fourteenth season. 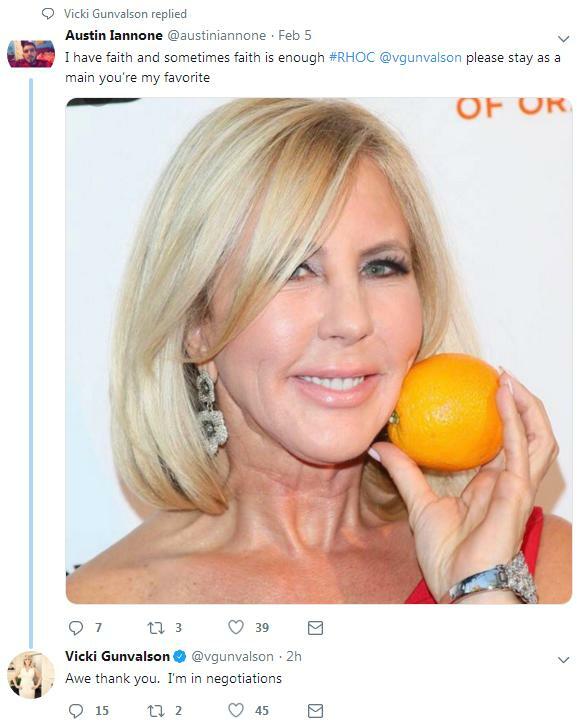 The OG of the OC took to Twitter to address the news with her fans. 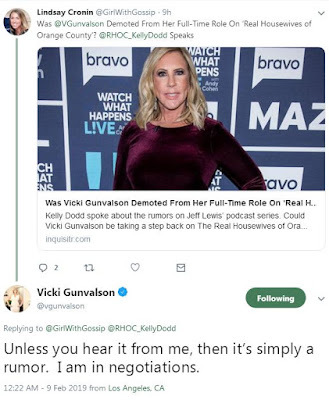 When a fan was asking Gunvalson to stay on RHOC as a main cast member, she responded; "Awe thank you. I'm in negotiations." 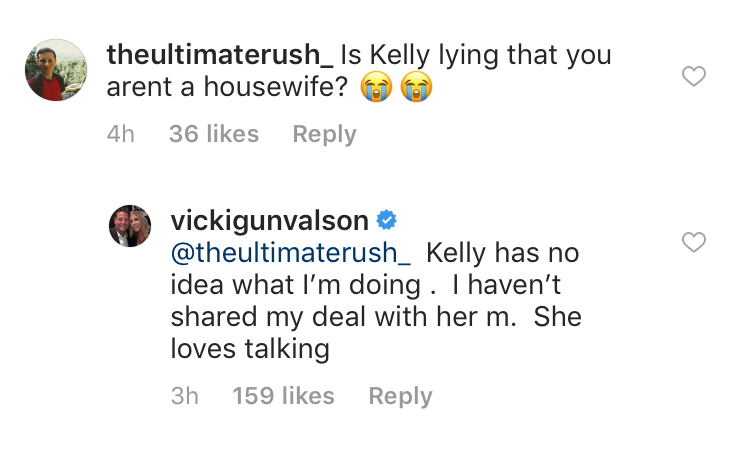 Responding to an article where Kelly Dodd reacted to the news about her alleged demotion, Vicki said; "Unless you hear it from me, then it's simply a rumor. I am in negotiations." The OG of the OC took to Instagram to address the topic in a recent post via the comment section after a fan asked her the respond to Dodd's comments about her alleged demotion. "Kelly has no idea what I'm doing . I haven't shared my deal with her. She loved talking." Last week, Jeff Lewis announced the news on his Sirius XM show, Jeff Lewis Live on Friday, February 8, according to Reality Blurb. Kelly Dodd, who feuded with the OG of the OC last season appeared on Lewis radio show to share her thoughts on the alleged report. “Well, I cannot confirm nor deny. However, that’s the word on the street,” said Kelly. Dodd agreed with Lewis and revealed that she was glad to hear that Gunvalson was demoted for Season 14.